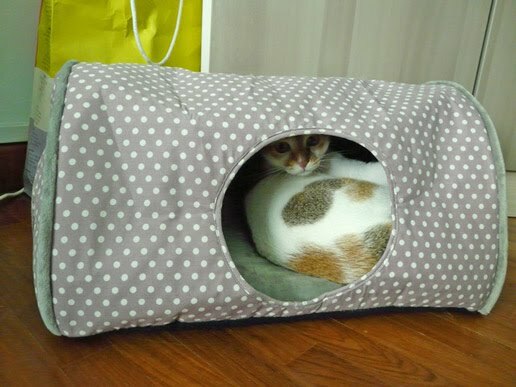 Vincent bought a sleeping tent for Creme to prevent her from hiding beneath the sofa and resting there. 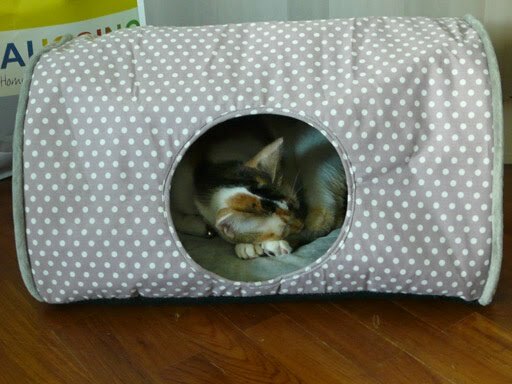 Initially, Creme didn't know how to appreciate her tent. She climbed on top of it and sat down, crushing the tent. I had to put her into the tent. 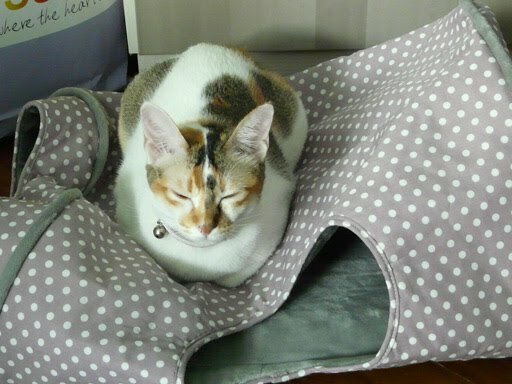 She settled down nicely, but became defensive of her turf and tried to scratch anything that poked the tent. After that, she inspected her new nest for a while, before falling into slumber.